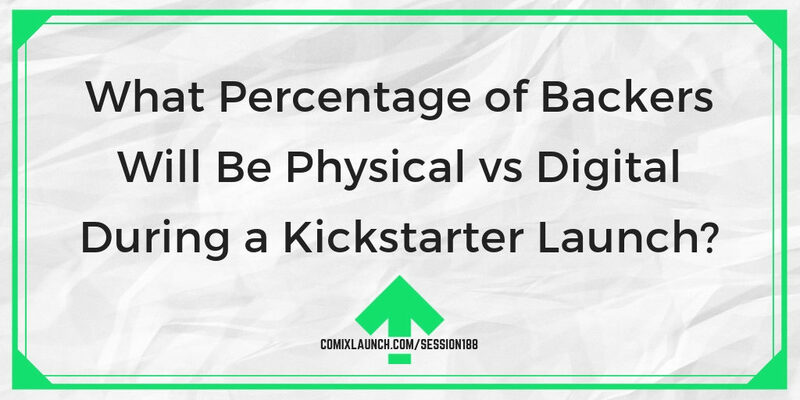 What Percentage of Backers Will Be Physical vs Digital During a Kickstarter Launch? When planning your launch, you might find yourself wondering what percentage of backers will choose physical rewards and how many will go the digital route? You also might be surprised when some choose no reward at all. In this session, Tyler dives deep into the numbers to help you know what you might expect for a backer distribution the next time you launch. Learn what’s “normal” when it comes to digital/physical distribution of rewards. What does and doesn’t affect your digital / physical distribution of rewards? What % of backers are likely to choose no reward at all, and what that tells us about KIckstarter Backers? Plus: An Audible book recommendation from one of my all-time favorite authors. Go look at YOUR last Kickstarter or all of your Kickstarters and crunch YOUR numbers. Shoot me an email and share your results. Haven’t launched… Go find THREE projects in your genre and crunch their numbers. 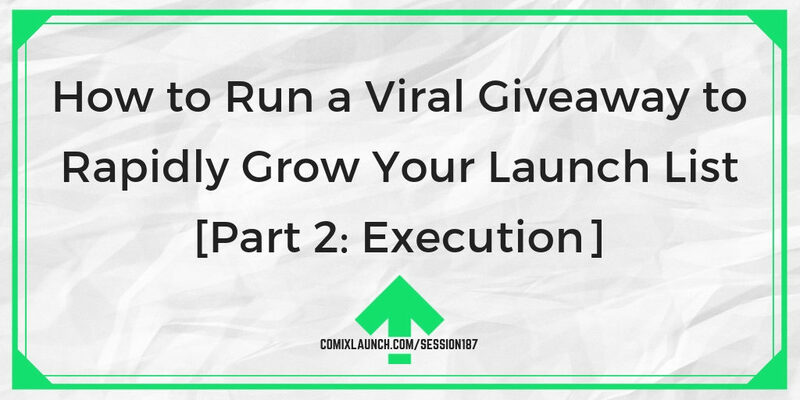 Let’s say you’ve got a great idea for a giveaway to grow your email list and you’ve set everything up… what do you do now? 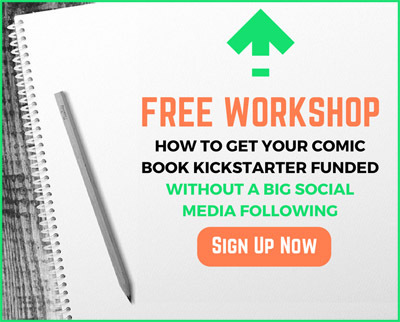 How do you get people to enter your giveaway, and what can you do after they climb on board your list to warm them up to a future Kickstarter launch? 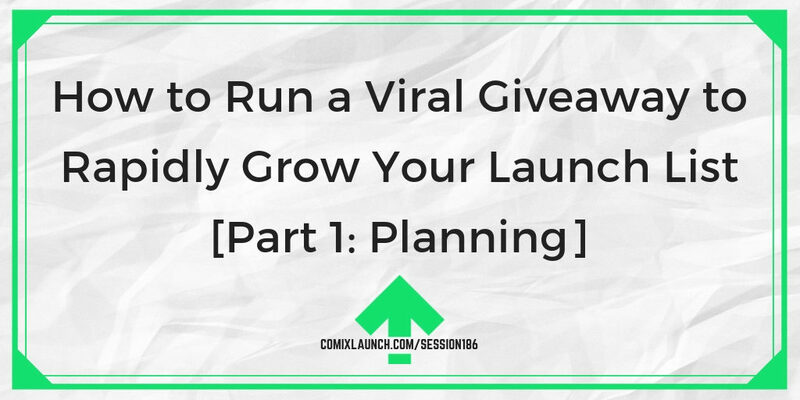 All that and much more is covered in Part 2 of this Viral Giveway training episode! Tips for delivering your grand prize and how NOT to pay to ship it! Plus: Kickstarter is changing it’s approach to email notifications. Generate 3 unique ideas for viral giveaways you could do for your creative business. 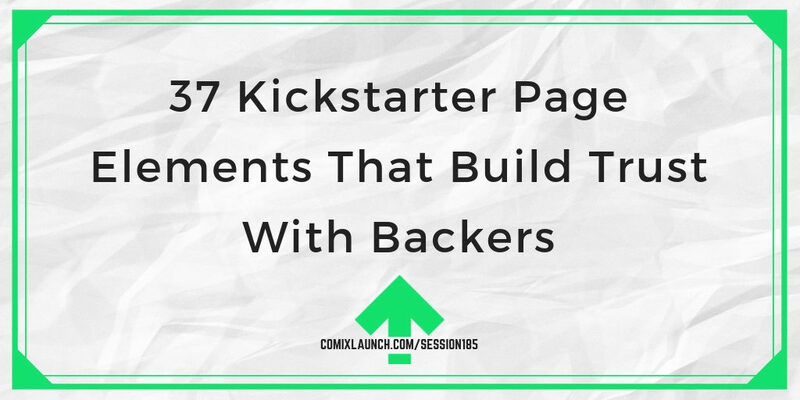 You’ll want to bookmark this episode the next time you build a Kickstarter page because in it, Tyler shares 37 Kickstarter page elements that build trust with backers and lead to a successful launch! And the best part… this entire episode was generated with the help of the ComixLaunch community. Seldom used but super powerful images to include on your Kickstarter page. Why treating your “Risks & Challenges” section as an after thought is weak, and what to say that makes it clear to backers you’re legit. A dozen subtle social proof elements that lead backers to be confident in trusting you with their hard earned money. Plus: Some stats on comics Kickstarter’s record-breaking 2018! Assurance that the fulfillment is being handled in house. “Who Will Love” section means they know their audience. An introduction video of the Project. In the video, both writer and artist address the backer. The out take is humanizing Joe Mulvey. Reward tier structure WITH the images of the products gives a professional look. The main reasons for the Kickstarter. A backstory of why the Project is being created in the first place. Creators holding Wailing Blade sword in their photos. Close-up of different covers, definitely not hiding anything there. Declaration of how many stretch goals have already been met. Log into Kickstarter. Start a new project or if you’re working on a project now, go ahead and open it. Open the STORY section of your Kickstarter page. Type in 5 ideas you got for things to include in your page from this episode.